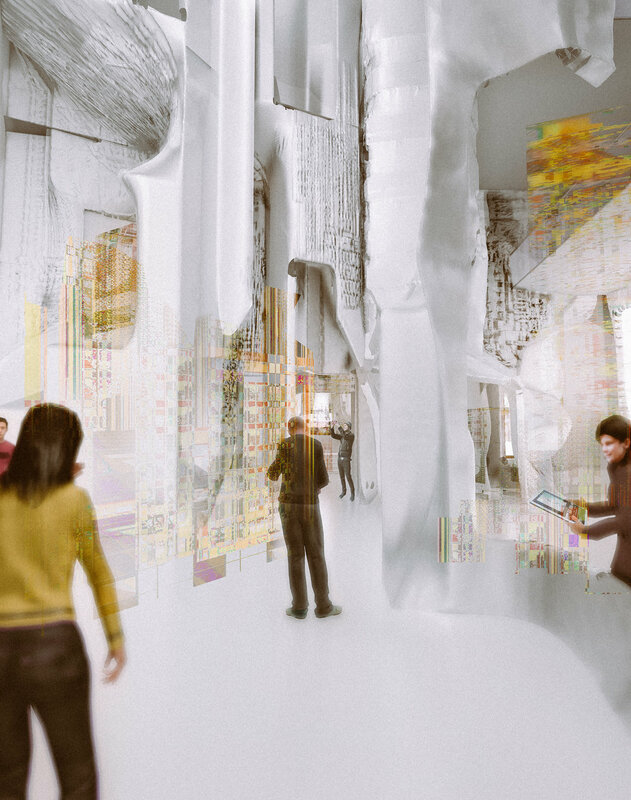 This project rethinks how a digital archive can enable interaction and yield social occupancy. Our focus was on creating an algorithmic approach for machine vision which could be used in form generation and thereby provide new spatial perspectives. 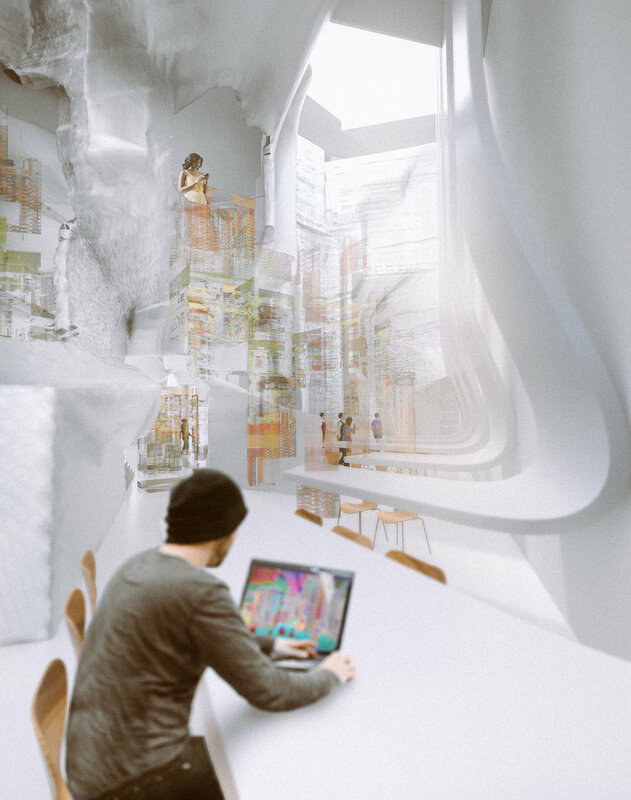 The project focused on the concept of phenomenal transparency as a way to connect the spatial perception and social interaction of users with the digital content and new visual language of architecture. 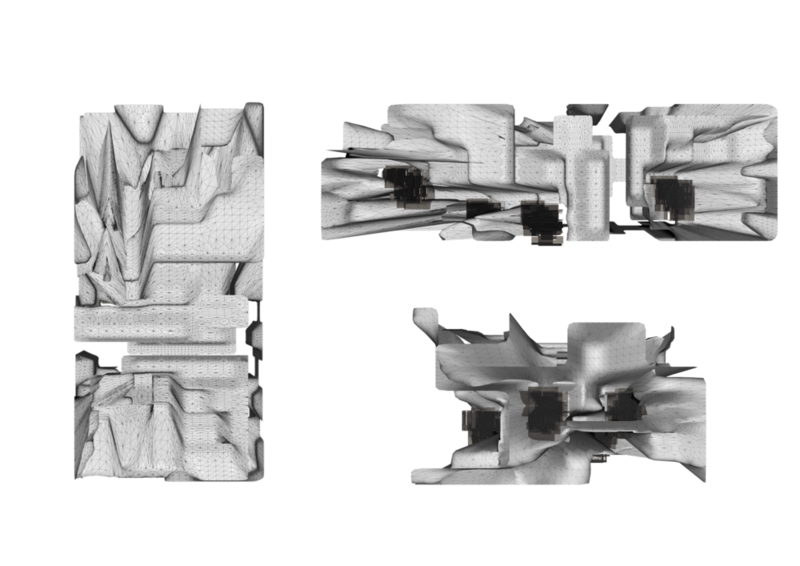 Further, we suggest that the archive as a spatial typology should benefit from the integration of augmented content. These mixed realities create new opportunities for social interaction, spatial orientation and archive use.